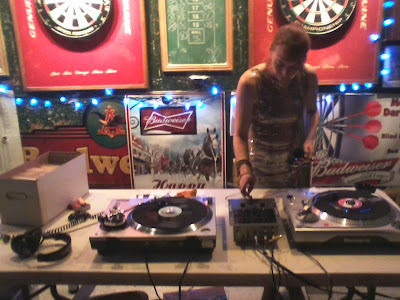 Looking forward to spinnin' a flack o' wax at Kentuck July Art Night. Come on out & get your Pomade on! Vinyl Showdown at Kentuck Art Center Thursday July 3rd! 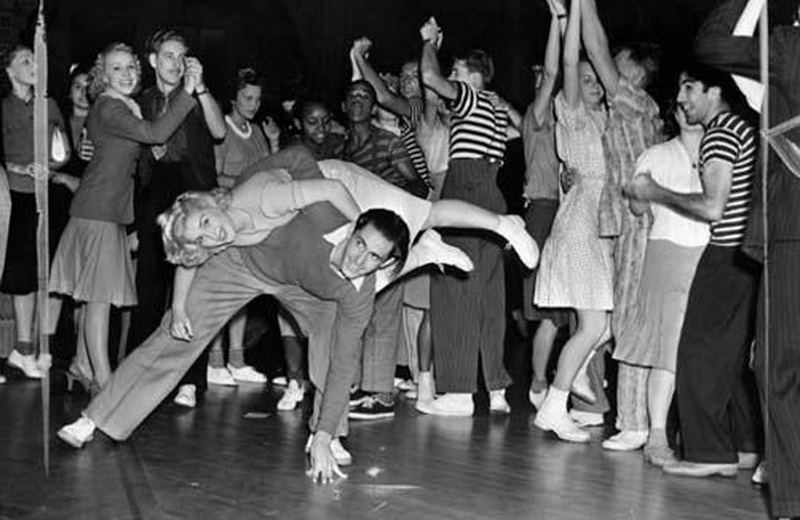 Thursday July 3rd DJs Tom Kat Kitten and Zeus the Rock and Roll God will be spinning all your favorite hits and misses from the 1950s and 60s at July Art Night at Kentuck Art Center in Northport - 5:30 to 7:30! Bring yur dancin shoes!! 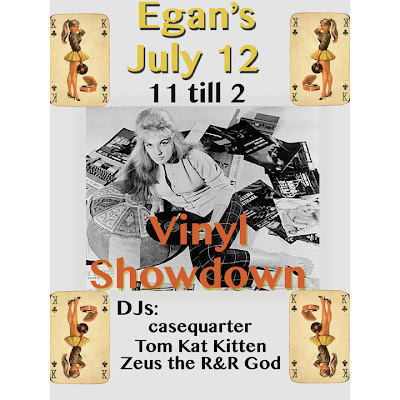 Join us for another outta sight dance party at Egan's this Friday, July 12th from 11pm till 2am where we guarantee to protect your ears from the slings and arrows of outrageous aural misfortune! DeeJays casequarter, Tom Cat's Kitten and Zeus The Rock n Roll God have braved the dangerous world of rock n roll looking for those special platters that'll have your feet akimbo, trembling uncontrollably to the wild sounds of R&B tittyshakers, garage movers and rockabilly monsters. You'll be so slap happy, even yo' mama will be cryin' with joy! No mp.3's, GUARANTEED! 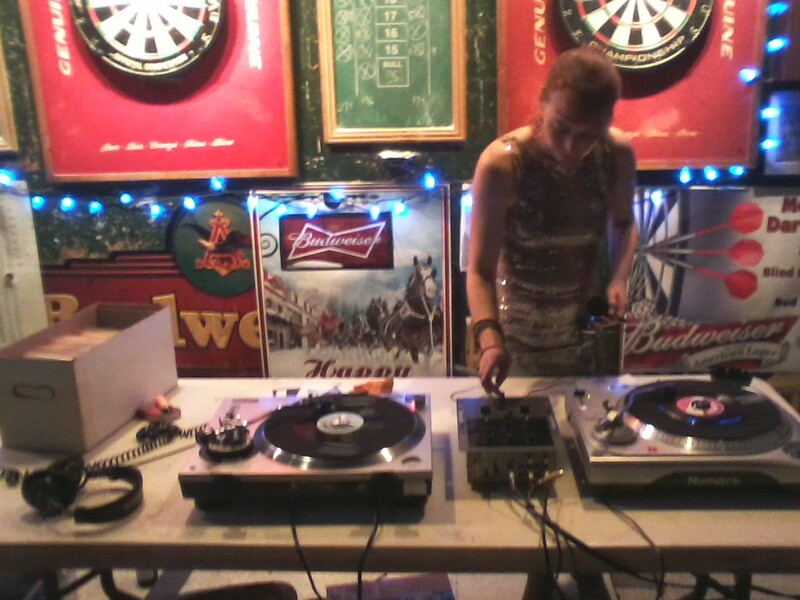 Just the groove of sweet delicious vinyl. So put on your dancing shoes, behave like you got The Ventilator Blues and quaff a few at Egan's while we stir your rock 'n' roll heart! No slag, no arty indie rock, no crappy jam band stuff or corporate rock, just pure unadulterated rock & roll! It's at Egan's, Tuscaloosa's only rock & roll joint, on The Strip. Share with your friends 'coz the party starts NOW! 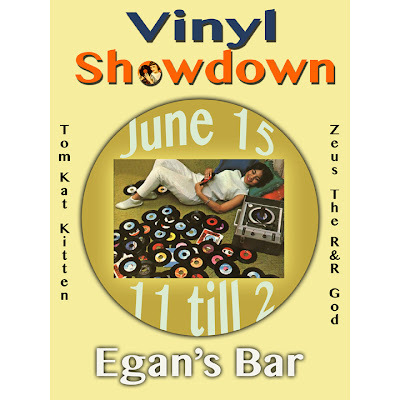 DJs Zeus the Rock & Roll God and Tom Kat Kitten will be your hosts for an all vinyl auditory freak-out at Egan's Bar in Tuscaloosa 11 PM to 2 AM. A.R.C.A. 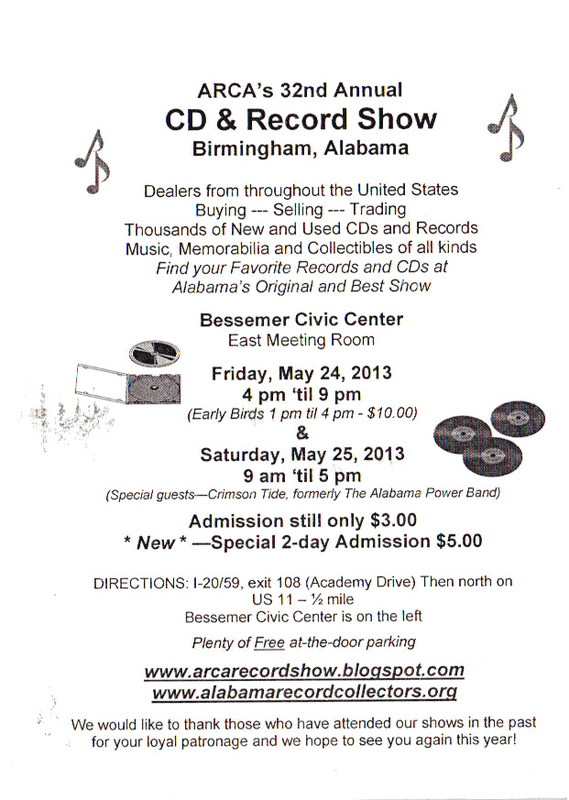 is Alabama's original organization for music collectors, founded in 1980 as a non-profit association dedicated to the memory and preservation of recorded music. 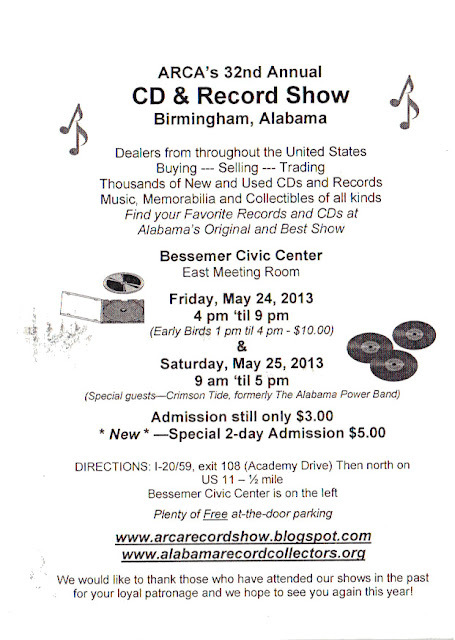 Membership is available to anyone with an interest in music or music collecting. A.R.C.A. provides an opportunity for members to share their interests in music, and to assist other members in enhancing their collections and musical knowledge. Our members are a diverse group whose music interests cover a wide variety of musical styles, including rock & roll, jazz, country, big band, rhythm & blues, oldies, folk and blues. Their collections range from small to large, and from the 1920s to the 2000s. Some members collect rare and unusual recordings, but most just collect what they enjoy listening to.